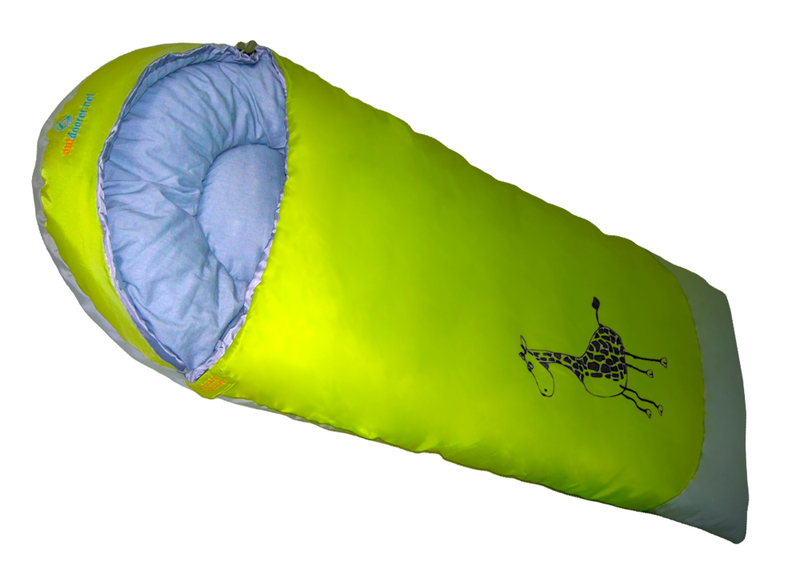 In addition to the sleeping bags for adults Outdoorer has also developed its own children’s sleeping bag into which your child can snuggle comfortably. 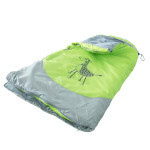 The sleeping bag for children has soft stuffing and is lined with pleasant, velvety cotton. Since the children’s sleeping bag has a body length of 130 + 30 cm, it is suitable for children from 110 cm to 150 cm in height. 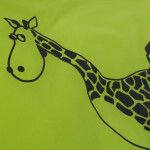 The small giraffe design is magical for children. This means that bedtime is no longer the bane of their parents’ lives as the children climb voluntarily and happily into their own sleeping bag and drift off to sweet dreams in the Dream Express. Thanks to the very high-quality zips, the children’s sleeping bag can be opened and closed quickly without the annoyance of the material being trapped. Also available as outdoor sleeping bag for children to use for camping, the Dream Express is very good in the summer and at the beginning of the transitional period with a comfort zone of +5 degrees Celsius. Try out the children’s sleeping bag for yourself! 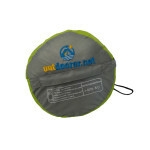 Outdoorer wishes you and your child sweet dreams with the children’s sleeping bag Dream Express. Where can you buy the Dream Express in green? You can order the childern’s sleeping bag Dream Express via Amazon.